That all changed in early 2013. 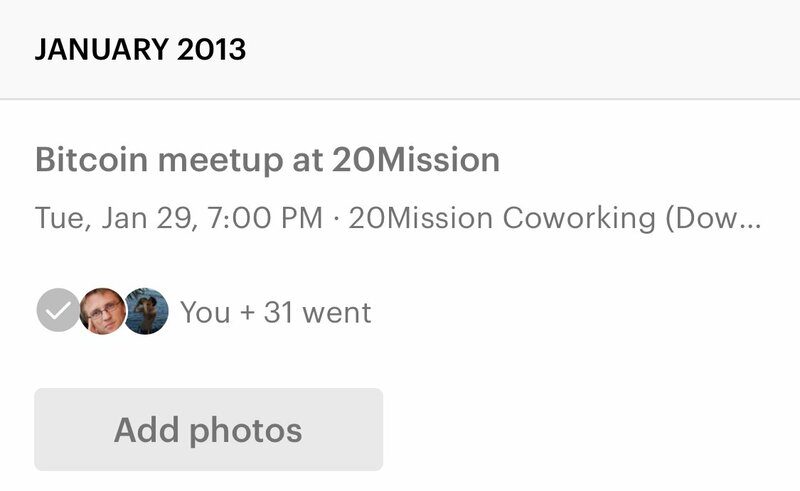 When I went to my first Bitcoin meetup in San Francisco in January 2013, it was a very modest space, carved out of the newly refurbished 20Mission. Some of the inhabitants, including the owner Jered Kenna, created a video halfway through the demolition which shows its initial state. Since 2011, Bitcoin meetups had only been hosted by himself and his company, Tradehill. 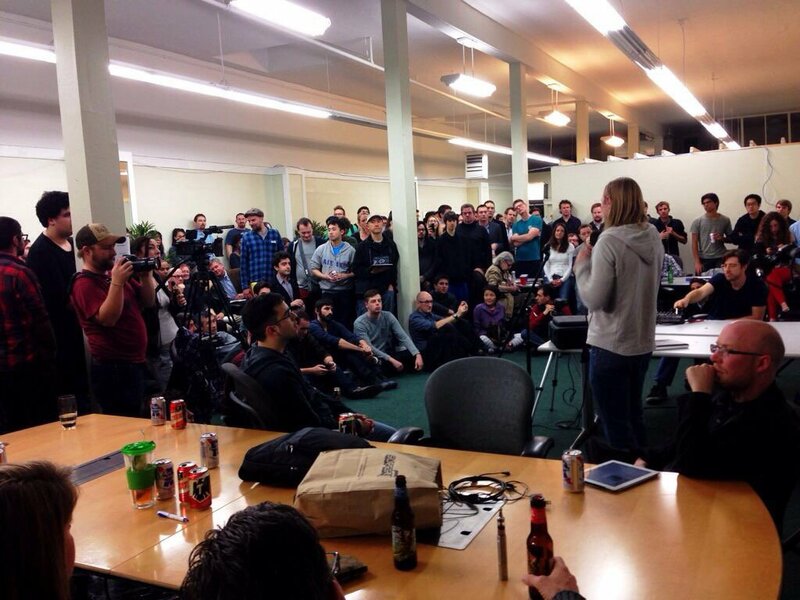 At that time, there were very few people who were interested enough in Bitcoin to show up in person to the meetup. To put this in perspective, on January 31, 2013, 32 people RVSP’ed to come and only about a dozen showed up. This was finally a place where like-minded individuals could connect and bounce ideas off of each other. We could share the faith together. 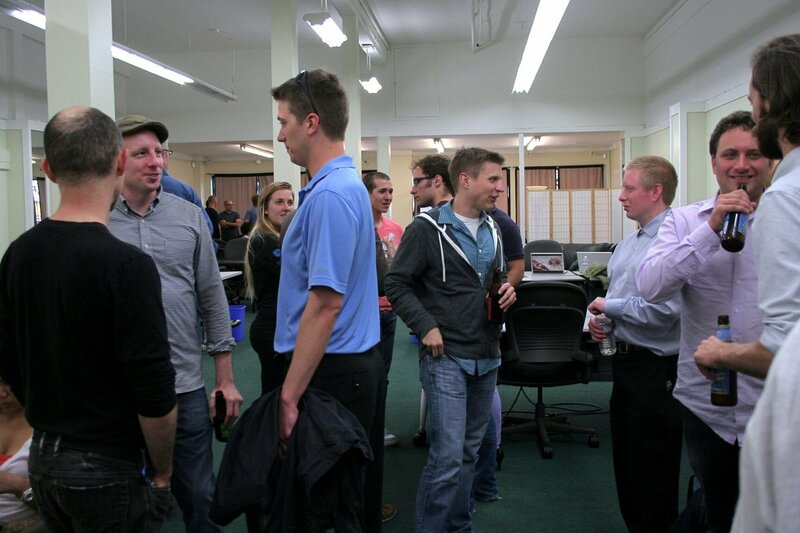 The early attendees started some of the most successful companies and funds in the space. In May 2013, after the price spiked from $10 to $260 (the first 2013 “bubble”), there was a new wave of interested people which drew the attention of mainstream journalists. 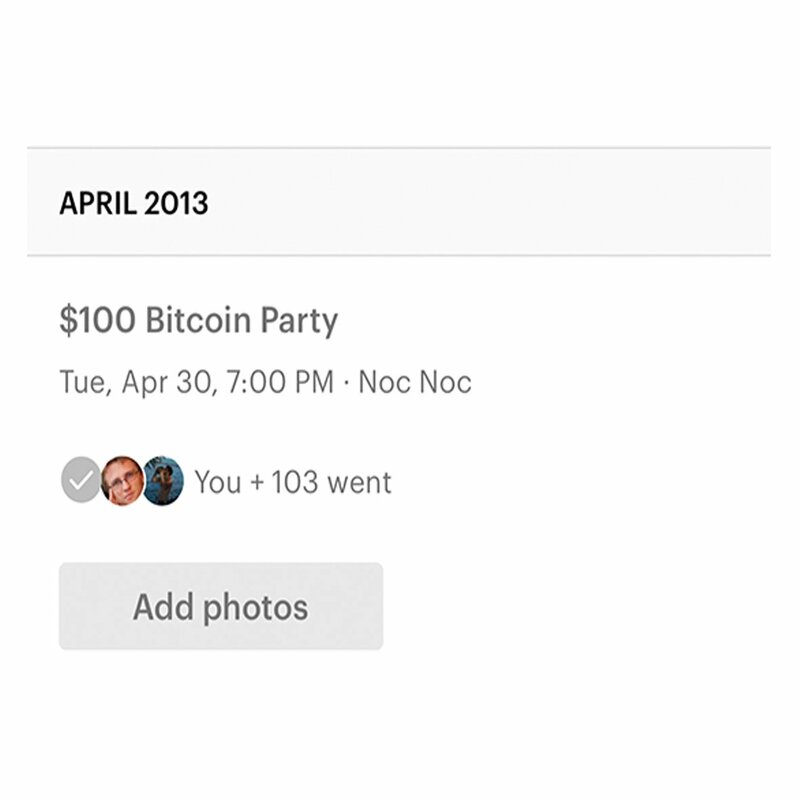 The meetup in April was even called the “$100 party” with a 100+ RSVPs. I distinctly remember one VC, David Chen from Lightspeed, handing out business cards. It was in that moment that I realized Bitcoin wasn’t just a hobby anymore — it was going mainstream! A journalist, Kashmir Hill, well-known from her articles with Forbes, made her name in the space by living on bitcoin for a week. At the end of the week, she had received so many tips in bitcoin that she invited the community out for a sushi dinner. Forbes brought a film crew out and, when it came time to pay the bill, I was able to demo my product ZeroBlock, which was the only real-time market data mobile product at the time. In addition to real-time market data, ZeroBlock had the first aggregated news feed. Since the space was so new (Bitcoin Magazine was still a print publication), we would scrape r/bitcoin’s “hot” RSS feed. Ryan Selkis had started his “Two Bit Idiot” blog around this time, and he reached out to me to ask if I could add it to the feed. Also in May, there was the San Jose Bitcoin conference, which was the biggest Bitcoin conference that had ever been held. The Winklevoss twins were the headliners at the conference. To the best of my knowledge, they were the first “mainstream popular” people to associate themselves with Bitcoin. And to put things in perspective, Roger Ver’s tweet about the conference only had three retweets. Early 2013 distinctly marked the birth of the Bitcoin industry and mainstream adoption. The early members of the San Francisco Bitcoin community built many key companies and propagated the message of Bitcoin among the tech community. The San Francisco Bitcoin community helped the Bitcoin seed grow and mature into a mighty organism. This is a guest post by Dan Held. Opinions expressed are his own and do not necessarily represent those of Bitcoin Magazine or BTC Inc.